• Deputy Prime Minister, Dr. Woo-Sik Kim will address at the opening ceremony. 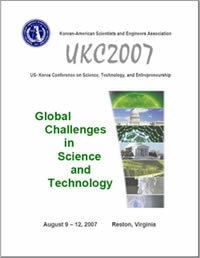 Other dignitaries from Korea to attend UKC2007 will include Dr. Chang-Sun Hong and Dr. Sang-Kee Suh (National Assembly), Dr. Nam Pyo Suh (KAIST President), Dr. Chan-Mo Park (POSTECH President), Dr. Seung-Hyeon Moon (GIST V. President), Presidents of over 10 Research Institutes, and CEOs of Sponsoring Companies and Groups. • NSF Director, Dr. Arden L. Bement, Jr. and KOSEF Chairman, Dr. Seok Sik Choi will deliver their keynote speeches in Plenary Sessions. • Honorarium information can be found in "Registration & Hotel" site. • The advanced registration has been extended until 7/31/07, and the on-line registration will be shut down on 8/6/07. • There will be a poster session in the program and best presentation awards will be given to the selected poster presenters. When submitting an abstract, state (poster) at the end of the title. 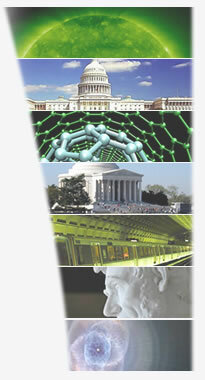 Participation of young scientists and engineers is particularly encouraged. 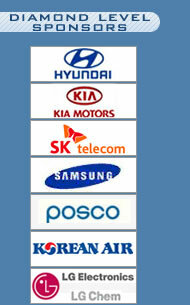 • Korean Airline will be an official airline for UKC 2007. 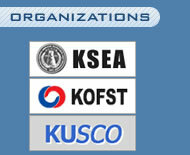 Conference participants will receive 10% discount on their airfare when purchased from Korean Airline offices. The rate requires a certificate from organizer when tickets will be purchased at the Korean Airline Office (e.g., Seosomoon main office). Please make the reservation as soon as possible. However, it should be noted that the travel should be made only in the month of August, 2007.